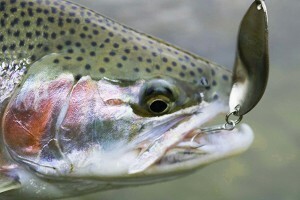 I’m a passionate trout & steelhead angler. 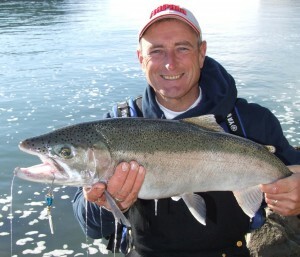 I love to fish smaller in-land trout and also drift the Great Lakes and BC tributaries for trophy steelhead. I also enjoy catching both on artificials and where appropriate by drift-fishing currents. 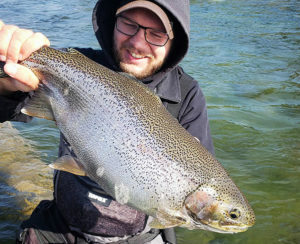 Matt Cory (above) who loves to drift-fish and use lures for steelhead knows the importance of using the right presentation at the right time. 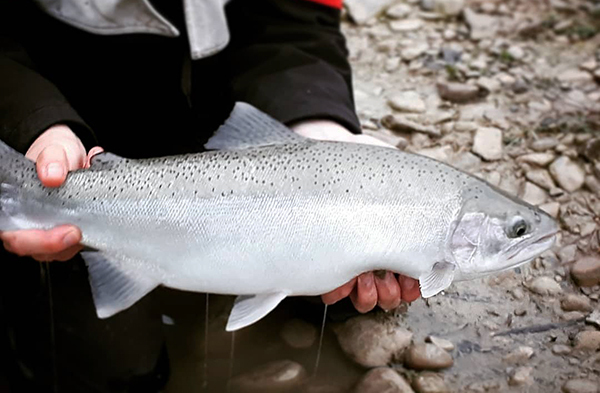 One of the most exciting ways to catch fresh-run steelhead that are in the lower sections of big rivers like the Niagara & St. Mary’s is definitely by covering water and fishing artificial lures. 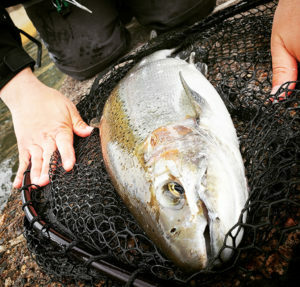 Top plugs to make steelhead Strike. If you are going to cast plugs to make steelhead strike out of aggression my top picks are the Luhr Jensen KwikFish, LuihrJensen Hot Shot. .
Top plugs to fool steelhead to strike “feeding imprint”. I believe the fresh-run steelhead hit out of “feeding-imprinting” from their open water foraging. This is the time to use natural wobbling & natural colored plugs like the Rapala X-Rap in the smaller sizes, the Jointed Rapala and the Scatter series in the natural colors. Spinners are ideal since they enable you to fish the water column from top to bottom. They can be fished slow or fast, they give off good flash and vibration and often trigger very aggressive hits. 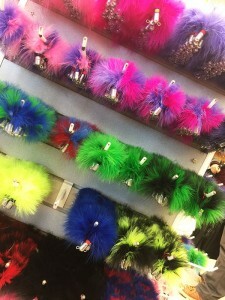 My best sizes are #2-#4. Favorite colors; silver, gold, and both silver or gold with bright pink or chartreuse bodies (color selection dependent on water clarity). 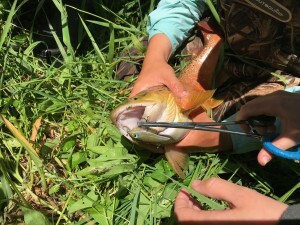 Spoons enable you to cast far and you can also fish them at different depths. Some of my favorite are the Lil’Cleo and the Gibbs Coho Spoon ranging in size from 1/4 – 1/2 oz. depending on the depth of water you are fishing, turbidity and size of fish you are targeting. I normally use silver or gold spoons with a pink, chartreuse or green accent stripe. BC anglers know how effective swimming hair jigs in deep pools can work for holding steelhead. They often use jigs up to 3/4 oz. for bit waters. In Great Lakes tributaries smaller jigs and jig-flies can work extremely well drifted and gently jigged under a float. My top colors are; white, green, purple and black.